Liliie's story: "YMCA has played a massive part in my recovery"
"In 2012 I was involved in a car accident that left me in a coma. When I came out the coma, I had a traumatic brain injury and I had to teach myself to walk and talk again. I first came to YMCA Lake Haven Recreation Centre just over a year ago on a casual basis as part of my rehabilitation. The staff are really nice and have taken a real interest in me and my recovery. Every time I come in, someone asks how I am. With their help, I have progressed from only being able to do light exercise to being able to come to the gym twice a day! I am now member of the centre and my future goals are to gain and maintain weight and muscle, become stronger and increase cardio fitness. I also want to increase my stamina and have a full time job. 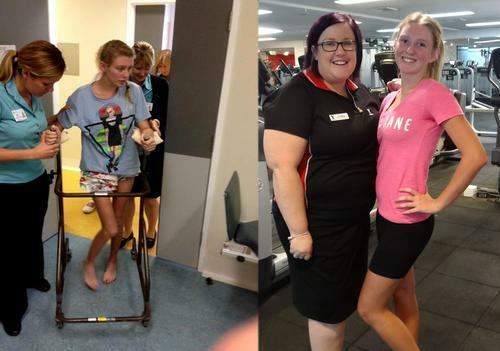 I thank all the staff at YMCA Lake Haven who have had a massive part to play in my recovery!"